January gone, the rash of resolutions are probably either gradually starting to be conquered or vanish like they never were in the first place. With more of a holistic approach to making changes to my life, resolutions and I have more or less been a loose stride. Not that I lack the motivation but I do believe that the joy of living has to be there. That said, there is definitely a distinction between joy-of-living and over-indulgence, balance and moderation is key, or the middle path as I like to think of it. Healthier food choices is probably a more reasonable and sustainable approach second to making lifestyle changes altogether. Whether you’ve made resolutions or not, making positive changes to our lifestyle can start at any time. How about now? Have you made any resolutions this year? Or are you the non-resolution type? In any case, when I come across companies that value and strive to provide high quality, organic food, I feel it is not only fair that I share their appreciation for wholesome nutritious food but also spread the awareness. With enough demand and perseverance for real food, one day we may be able to call organic food just food like our grandparents used to call it. From the staples to the superfoods, Nature’s Path is one of these companies. Over the years, their selection of breakfast cereals have grown and now comprises of a good selection of vegan options — the Nature’s Path Coconut Chia Granola is one of the newest addition to the granola range. Since I like everything coconut-y, the latter soon became my favourite. Being quite diligent when it comes to ingredient lists, I take my time to read the labels of each and every product I buy. I guess when living a vegan lifestyle in a non-vegan world, this cannot be helped. Nevertheless, what I am put inside my body does get a little bit more of my attention. For their no-brainer, simple and wholesome ingredients, Nature’s Path breakfast cereals get a special place in my pantry as a staple. Without any second thoughts, I do recommend their products. While cereals are intended for breakfast, having a savoury palate preference for the first meal of the day, these granolas have found their way mostly in my dessert bowls! They have literally become my nut replacer for whenever I need a little bit of crunch. Topped with the Coconut Chia Granola, this Vanilla Cardamom and Chocolate Layered Rice Pudding is simply transformed into a decadent treat. Rinse the rice and drain a few times until the water runs clear. Place rice, 3 cups water, cardamom pods and cinnamon stick in a pot. Bring the rice to a boil on medium heat and simmer covered until most of the water is absorbed (this should take about 15 – 20 minutes depending on the type of rice). 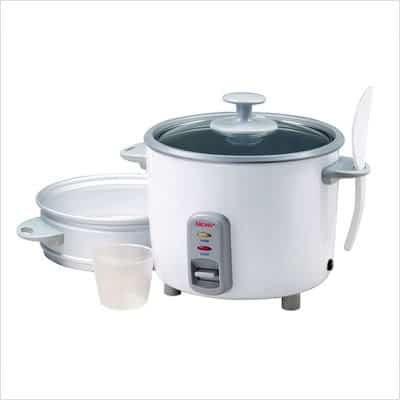 You may need to occasionally uncover the pot and stir to prevent the water from boiling over. Add coconut milk and continue simmering until rice is soft and creamy (another 10 – 12 minutes). Add the maple syrup, taste and adjust the sweetness to taste. Divide the rice pudding in two equal parts and place half of it into another cooking pot. Add the cocoa powder and allspice to one pot. Add the vanilla and coconut flakes to the other pot. Stir each and continue to cook for another 5 – 7 minutes or until the consistency is how you like it. Add water at any stage if necessary to further cook the rice for more creaminess. 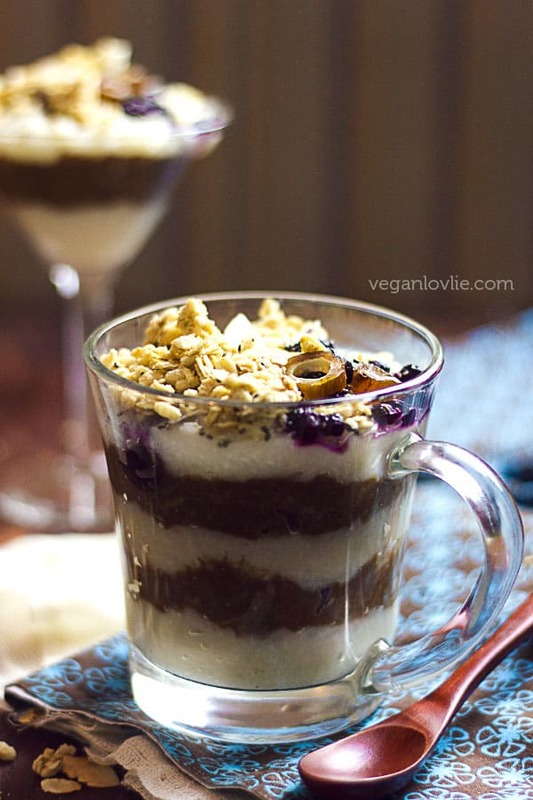 To assemble, layer the vanilla cardamom rice pudding and chocolate rice pudding alternatively into 4 mugs, jars or glasses. Chill for one hour. 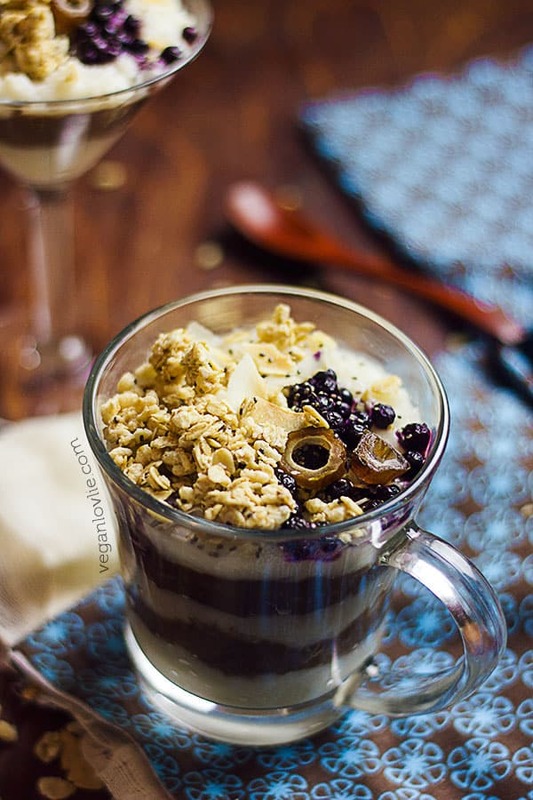 Top with granola, blueberries, dried fruits and serve cold. 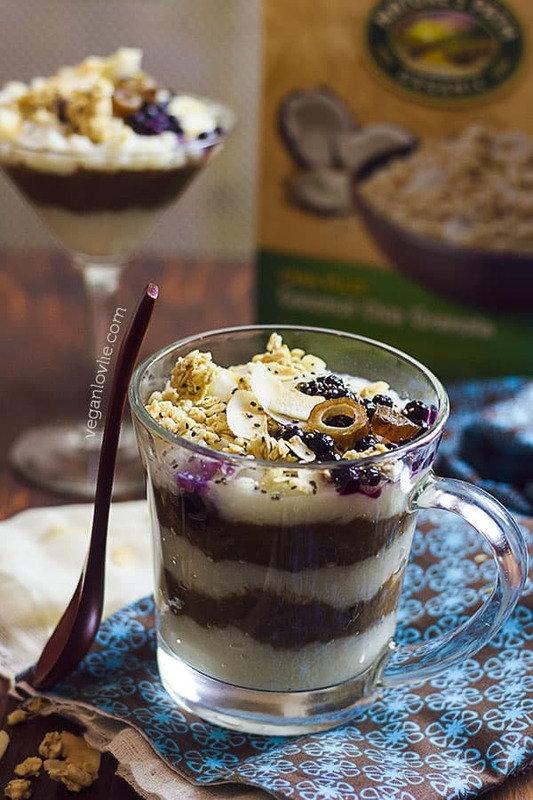 Topped with the Coconut Chia Granola, this Vanilla Cardamom and Chocolate Layered Easy Rice Pudding is simply transformed into a decadent treat. Rinse the rice and drain a few times until the water runs clear. Place rice, 3 cups water, cardamom pods and cinnamon stick in a pot. Bring the rice to a boil on medium heat and simmer covered until most of the water is absorbed (this should take about 15 - 20 minutes depending on the type of rice). You may need to occasionally uncover the pot and stir to prevent the water from boiling over. Add coconut milk and continue simmering until rice is soft and creamy (another 10 - 12 minutes). Add the maple syrup, taste and adjust the sweetness to taste. Divide the rice pudding in two equal parts and place half of it into another cooking pot. Add the cocoa powder and allspice to one pot. Add the vanilla and coconut flakes to the other pot. Stir each and continue to cook for another 5 - 7 minutes or until the consistency is how you like it. Add water at any stage if necessary to further cook the rice for more creaminess. You can do so much more with these cereals than just pouring milk over them. 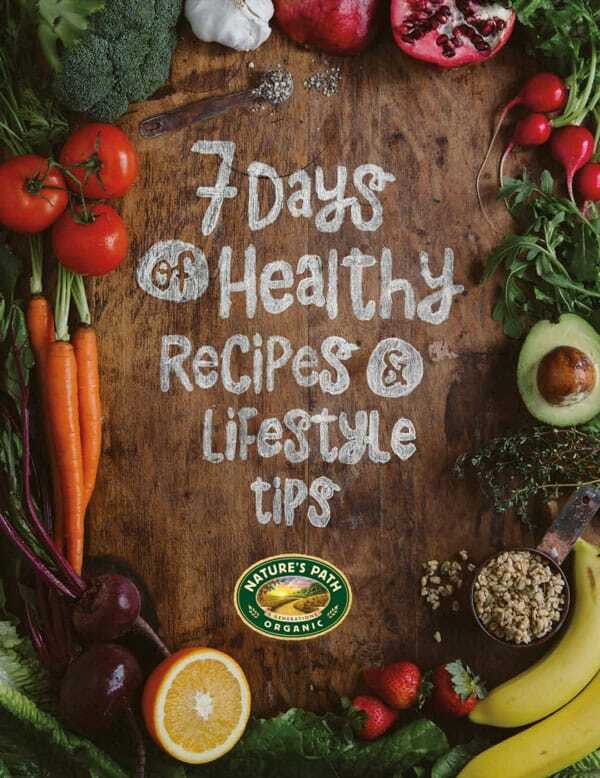 7 Days of Healthy Recipes & Lifestyle Tips Ebook! It’s free for you to download. 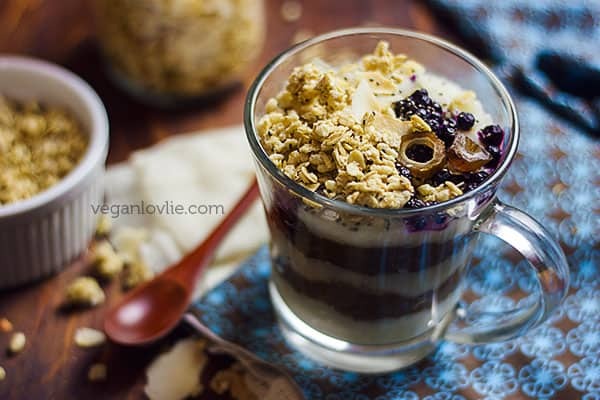 If you haven’t tried any of these granola cereals yet, Nature’s Path is offering an awesome prize pack to one of our Veganlovlie’s readers. This contest is open to Canadian and US residents only. US or Canadian shipping address must be provided. The winner will be asked to answer a skill testing question to claim their prize. For a chance to win this prize pack, use the Rafflecopter widget below to enter. Each entry entitles you to one chance of winning. You can come back here everyday and tweet a message. This gives you additional chances of winning. This contest ends on February 15, 2016 at 11.59pm EST. In addition to our giveaway above for our Veganlovlie readers, Nature’s Path has another great giveaway for you to enter. To enter in Nature’s Path’s giveaway, tell Nature’s Path what’s on your path this year by posting on Facebook, Twitter or Instagram using both hashtags: #OnMyPath and #GranolaForAYear. This giveaway ends on February 28, 2016. Good luck in both giveaways! Disclosure: These contests/giveaways are sponsored by Nature’s Path. 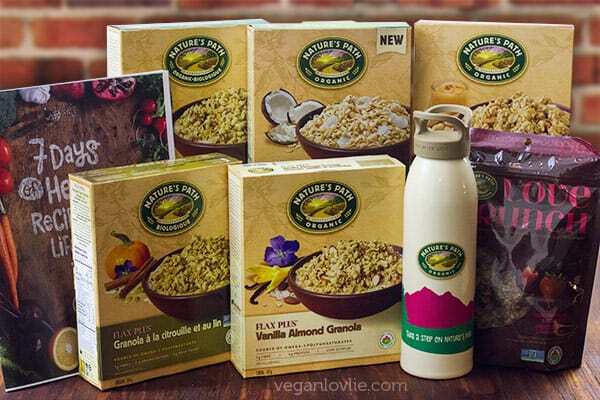 I received a selection of free granola products. I was not compensated in any other way for this post and my opinions about their products are 100% mine. No money has changed hands between myself and Nature’s Path in relation to these contests/giveaways or this post. On my path…weight loss and body health! I plan to keep eating clean and exercising and drink more water. I would like to cut back on sugar this year. I am working on eating clearly, being more active and learning to be more mindful. eating healthier and exercising regularly is on my path for 2016! time with family and friends and granola! i want to end each day with grateful appreciative thought. 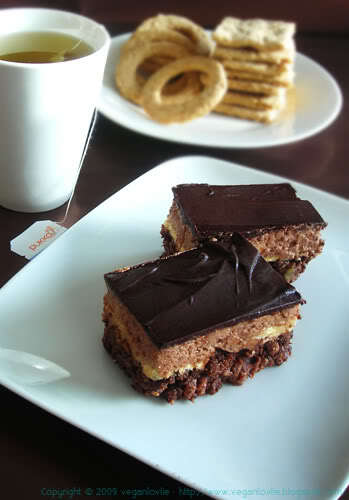 On my path this year is to reduce the amount of sugar I consume. 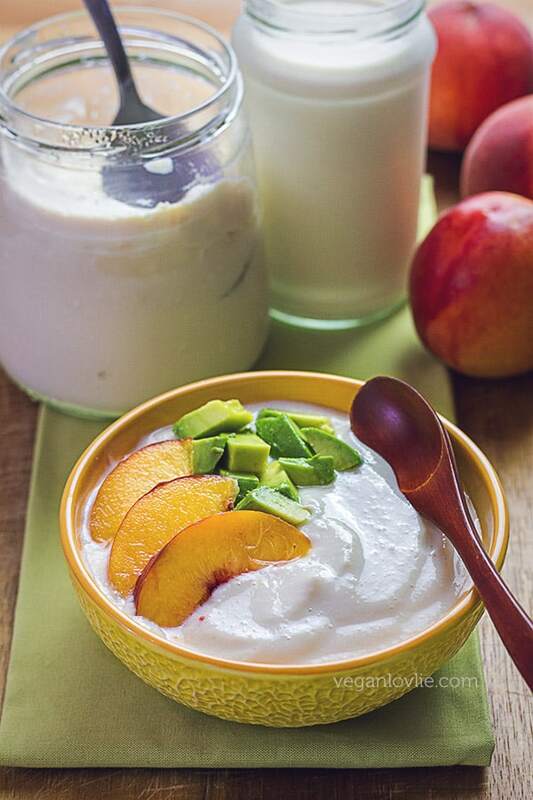 My plan this year is to eat fewer processed foods, relying on simple fruits and vegetables to fuel my body. I have a few marathons scheduled for the spring and I plan on being fitter than ever! On my path is to have a baby, and then get back into shape. This year is a path to find balance in my life. 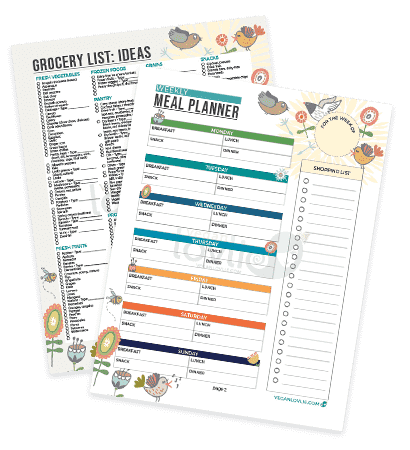 I will be doing this by first making sure my family is happy and healthy by maintaing a nutritious diet so we have the enery and healthy to play together and make memories! I will also find balance by taking care of myself. I want to run a half marathon this year. It would be amazing to fulfill this life long dream with my family at my side! ???????????????? Running my first 5k is #onmypath this year.